If you’re anything like us, you’re sitting here right now wondering where 2018 went. As you get ready for the new year, it’s time to reflect on everything that happened in your own life as well as around the world during the past 12 months. We know it’s hard to keep up with what’s going on in the world. So, we decided to put together a list of noteworthy news stories from 2018, so you can stay up to speed on travel news, trends, and memorable moments from the past year. But the geyser wasn’t the only thing to go boom. 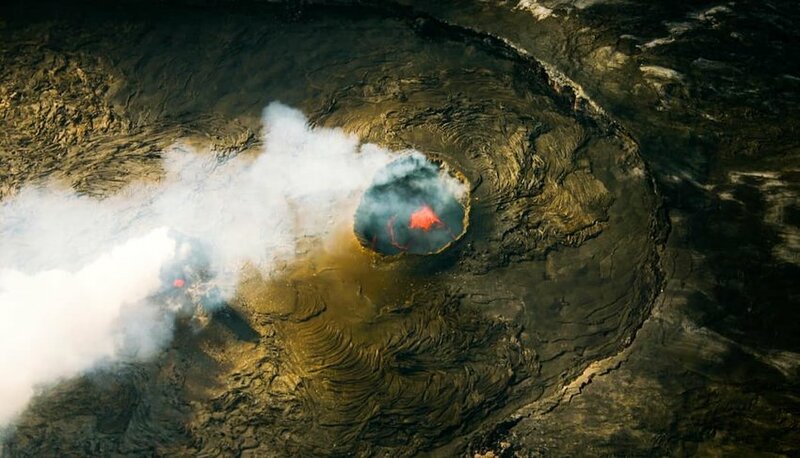 On April 30, the Pu‘u ‘O‘o crater on Hawaii’s Kilauea volcano collapsed triggering the largest lower East Rift Zone eruption and caldera collapse in nearly 200 years. According to the New York Times, the eruption produced “320,000 Olympic-sized swimming pools’ worth of lava and completely transformed the landscape.” Christina Neal, a scientist at the Hawaiian Volcano Observatory, stated that volcanic events continued for months and the eruption wasn’t considered complete until December 6th. Two English-speaking tourists sparked outrage after a viral video showed them shedding their clothes to wade in an ancient Roman fountain. Monumento Nazionale a Vittorio Emanuele, the historic site defamed by the tourists, is dedicated to the first king of Italy and is said to commemorate over 500,000 soldiers that were killed in World War. Authorities continue their search for the men responsible for dropping their pants beneath the Altar of the Motherland, which holds the “tomb of the unknown soldier,” and continue their efforts to deter tourists from both illegal and offensive acts. Unfortunately, this wasn’t the only instance of tourists defiling natural and historical sites. From fighting over the perfect selfie to stealing bricks from somber monuments, several travelers were on their worst behavior this year. The world reeled following the death of tv personality Anthony Bourdain in June of 2018 to apparent suicide. Culinary expert, author, tv host and traveler, Bourdain left his mark on many industries, and his death was felt around the world. Whether he was exposing Parts Unknown on his tv show or inspiring others with a passion for testing new flavors and cultures, he was a source of inspiration for many. Countless destinations topped our personal bucket lists this year, but a few spots stuck out in 2018 as travelers flocked to big cities. According to Mastercard’s 2018 Global Index, Bangkok, London, Paris, Dubai, and Singapore were predicted to be the top 5 most visited spots for 2018. UK-based market research company Euromonitor International, however, released their own report putting Hong Kong in the top spot, with close to 30 million tourists expected to travel to the region before the end of the year. Meanwhile, Google revealed its own insights into the most-searched-for destinations in 2018. According to the search engine, trips to Italy, Paris, and Iceland dominated people’s interests in 2018. Lake Tahoe upped the ante on underwater exploration on October 1st by opening a new underwater trail reaching depths of 10 to 60 feet. The Emerald Bay Maritime Trail is open to snorkelers and scuba divers who are interested in exploring historical, recreational watercraft and barges along Emerald Bay’s shoreline. According to CNN, the new site features two barges once used by lumber companies, the largest vessel used by the Emerald Bay Resort, and dive sites connected to popular vacation destinations from the 1920s and 1930s. This is California’s first underwater maritime heritage cultural trail that is open to the public. 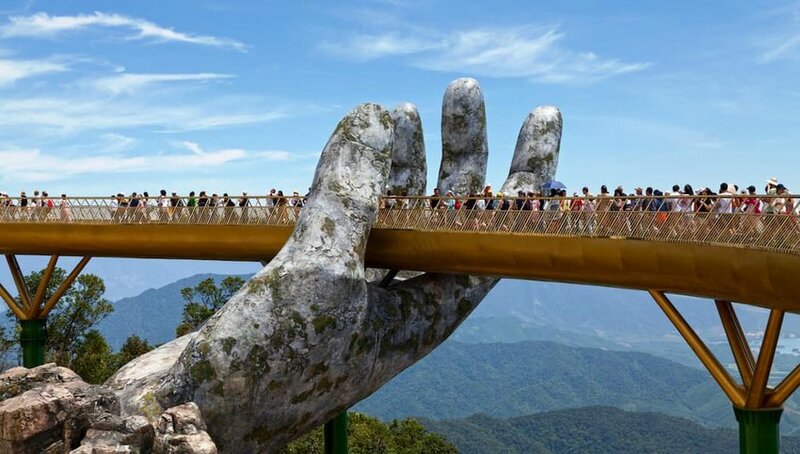 Ba Na Hills Resort, a mountainside resort in Da Nang, Vietnam, went viral after they opened a 500-foot gold pedestrian bridge, aptly named the Golden Bridge, that sits 4,600 feet above sea level and offers visitors unparalleled views of the famous Ba Na Hills. The structure appears to be supported by two large, weathered stone hands, that have been aged for centuries. According to National Geographic, the Ba Na Hills Resort was first established in 1919 by French colonists and featured 200 villas, but today it’s home to an alpine roller coaster and the longest, nonstop, single-track cable car in the world. American philanthropist Kristin Tompkins and her late husband, Doug Tompkins, handed over what is considered to be one of the world’s largest donations of private land to Chile. The couple spent over two decades acquiring over 10 million acres of land in Chile and working on preservation projects to restore Chile’s most stunning scenery. The donation of land includes a number of existing parks, a national reserve, a variety of accommodations, and will also expand two existing national parks. On January 31st, the second full moon of the year passed through Earth’s shadow creating a Super Blue Blood Moon. This incredibly rare phenomenon was the first time a lunar eclipse coincided with a Blue Moon in North America in over 150 years. 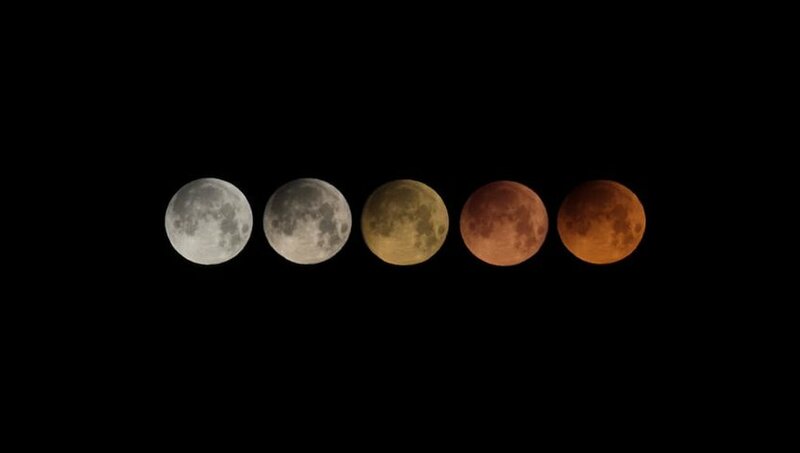 The lunar eclipse was visible in all 50 U.S. states, as well as Australia and eastern Asia and was the only lunar eclipse visible in North America in 2018. The next total lunar eclipse in North America will happen on January 21st, 2019. Remember the Winter Olympics? Yep, that was this year. Hosted by South Korea’s Pyeongchang, this year’s Games had their fair share of memorable moments. Norway dominated the final medal count and the world was introduced to a renewed love of curling. It was also a landmark game for Korean relations, with several key moments of interaction between officials from North and South Korea. New Amenities for Travelers Flying from Washington D.C. According to the USA Today, a new micro-hotel is opening at Washington Dulles International Airport just in time for the holidays. Offering between 30 and 45 square feet of space, Sleepbox offers travelers a quiet place to bunker down during long layovers in a stand-alone, sound-proof room. The Sleep Box Map Lounge is said to be located on Concourse A of the busy airport and will allow travelers to nap on memory foam mattresses, relax, and recharge for $25-$35/hour. It seems like hotels are always trying to outdo each other these days, but we have to admit, this one is pretty cool. A massive luxury hotel set inside an abandoned quarry opened in Shanghai in November and became the world’s first underground luxury hotel. The InterContinental Shanghai Wonderland includes 16 floors below ground and another two floors submerged inside a 33-foot-deep aquarium. 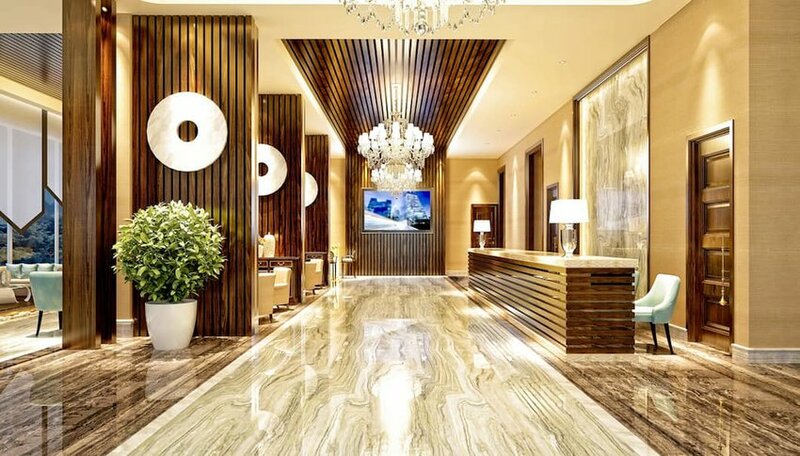 After 10 years of building and over 1 billion yuan ($151 million), the hotel finally opened its doors to guests. Speaking of incredible new hotels that opened this year, Conde Nast Traveler released their own “Hot List” for the world’s best new hotels. From Africa to the Caribbean, luxury resorts to private lofts, these hotels will quickly have you drooling. Thought your Trans-Atlantic flight to Europe was long? Hold your tongue. 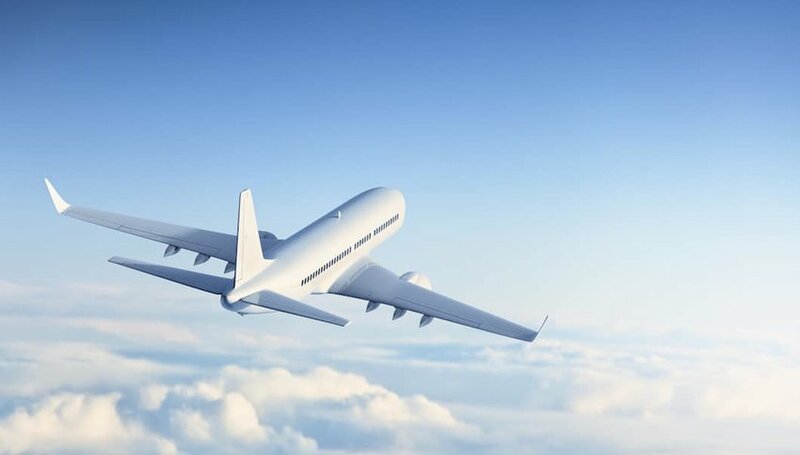 The world’s new longest flight was launched in October, delivering passengers from Singapore to New York. The new route is operated by Singapore Airlines and flies from Singapore Changi International Airport to Newark Liberty International Airport. Covering 9,521 miles, the flight takes 18 hours and 25 minutes outbound, and 18 hours, 45 minutes returning from Newark to Singapore. This makes it 500 miles longer than the old record-holder, Qatar’s route from Auckland to Doha. European travelers can now head Down Under easier than ever, with the first nonstop flight between Australia and Europe. The Qantas flight connects London and Perth, coming in at 17 hours and six minutes. The flight covers 9,240 miles and marks a new era in long-distance flight travel. 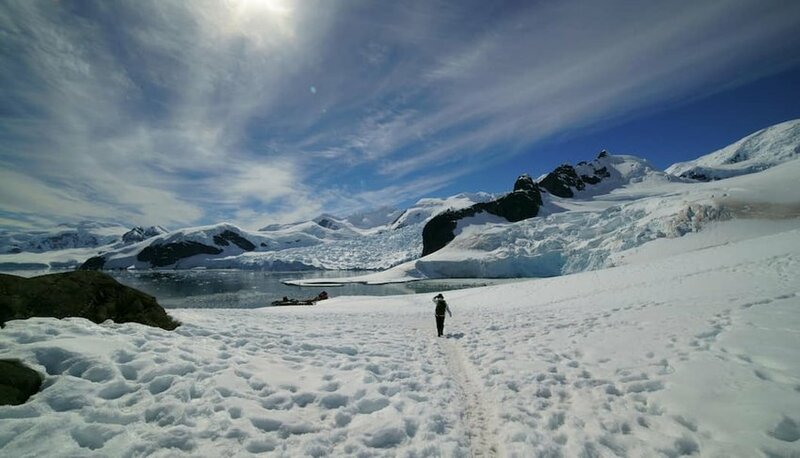 Colin O’Brady, a 33-year-old two-time world record holder and former professional triathlete, has set out to do the unthinkable: become the first person to cross the Antarctic coast-to-coast alone and with no aid or resupply support. To date, he is halfway to his goal and has already become the 29th person to ski from the coast of Antarctica to the South Pole. According to CNBC, O’Brady’s 40-day expedition is meant to inspire people to protect our planet and teach them that anything is possible. He also plans to share data collected in route with 30,000 students across six continents. Morgan is an adventure-seeker and storyteller from Southern California. 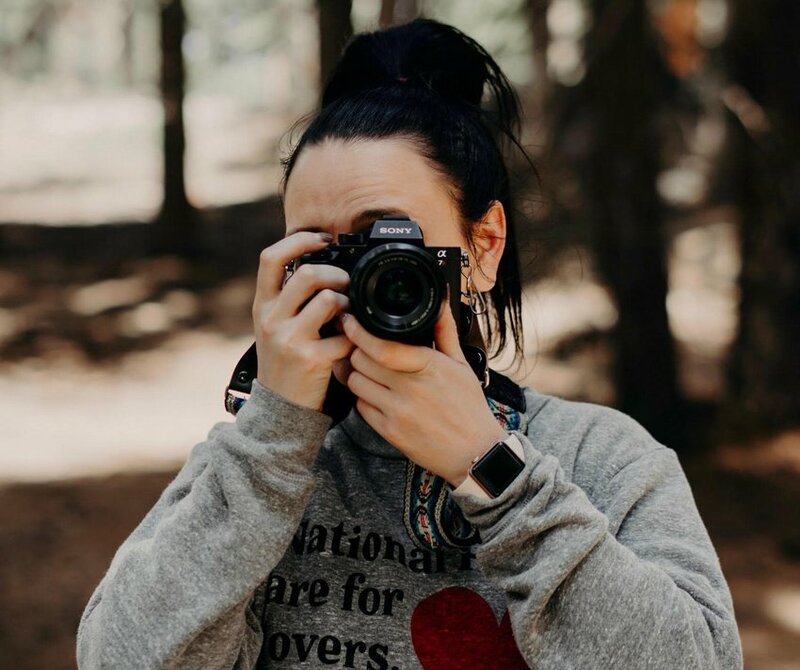 A self-proclaimed weekend warrior, when she isn’t writing, you’ll find her somewhere in the mountains or road tripping throughout the Western United States.